Damage/Repair Minor pitting and general wear. 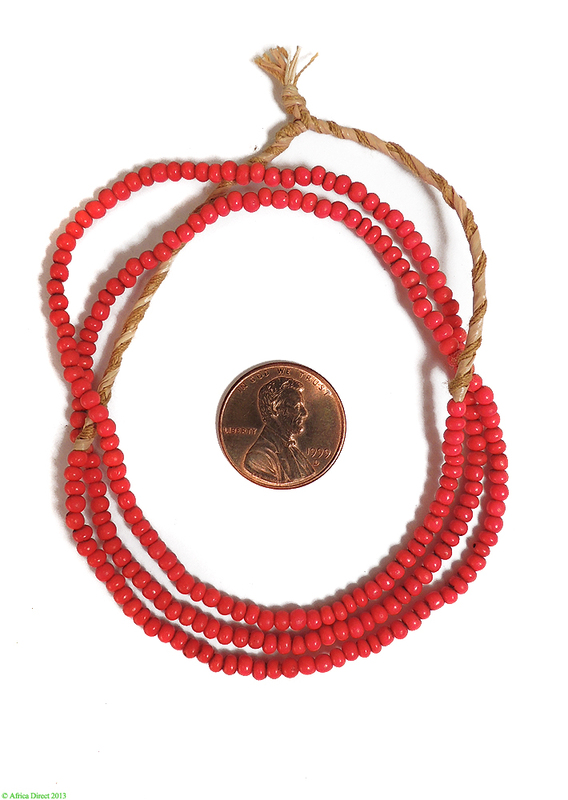 Bead Size 2-3 mm diameter avg, size 11-16. See picture with penny for size comparison. Picture is an example, yours will be similar. You are buying three strands.